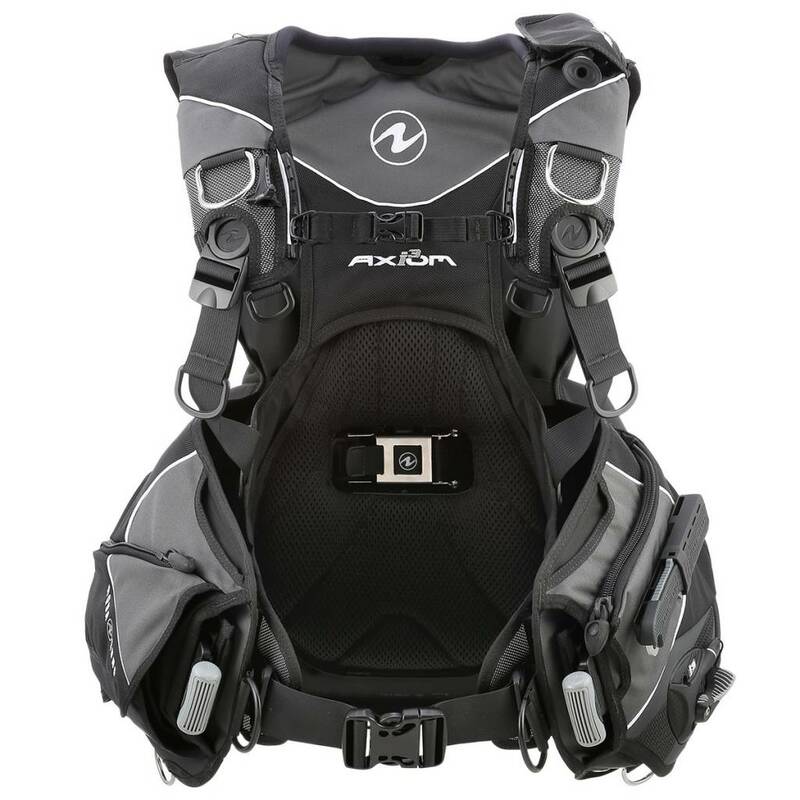 Aqua Lung’s redesigned Axiom i3 is the latest luxury, jacket-inflation BCD that is perfect for the recreational diver. 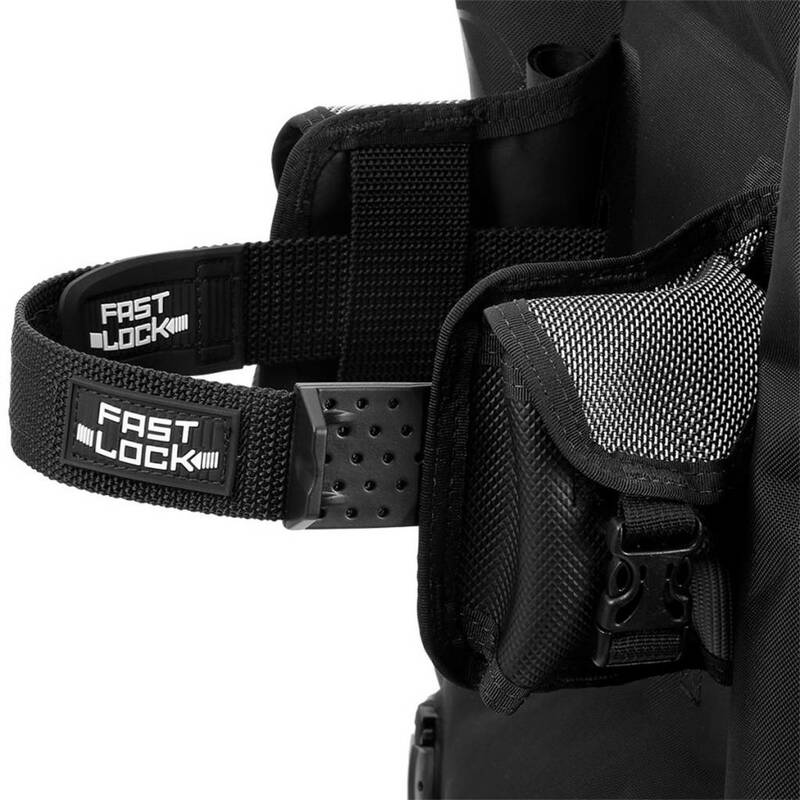 Aqua Lung included their all-new F.A.S.T Lock System. The Axiom i3 comes loaded with features, like the new F.A.S.T. Lock System. Replacing the old Griplock Tank Band technology, F.A.S.T. 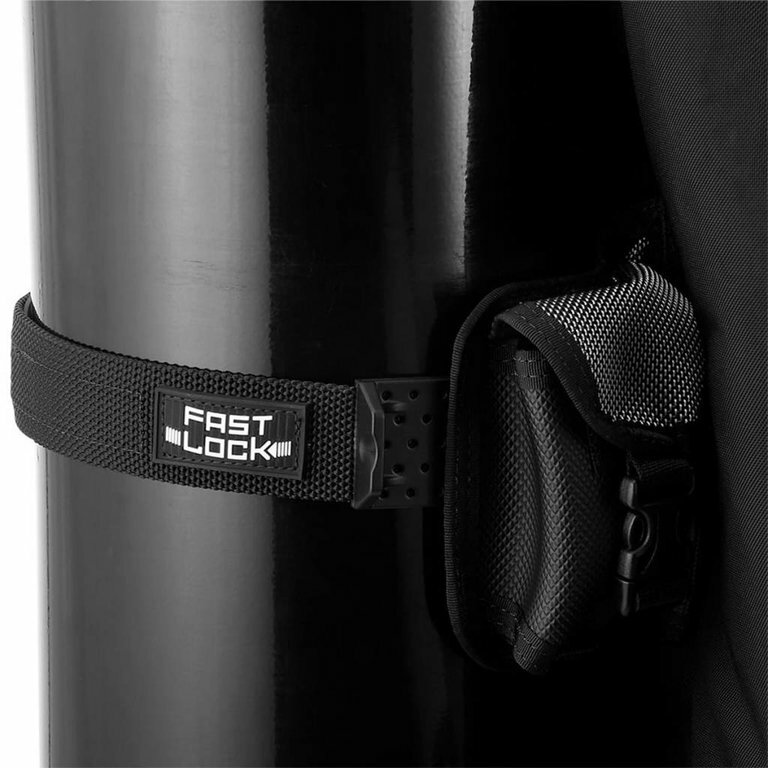 is a strong, secure way to attach the cylinder to the BCD without having to worry about slips. Rather than weave a complicated web of multi-slot buckles, straps, velcro and different sized tanks, this locking system makes attaching your BCD to your tank simple. 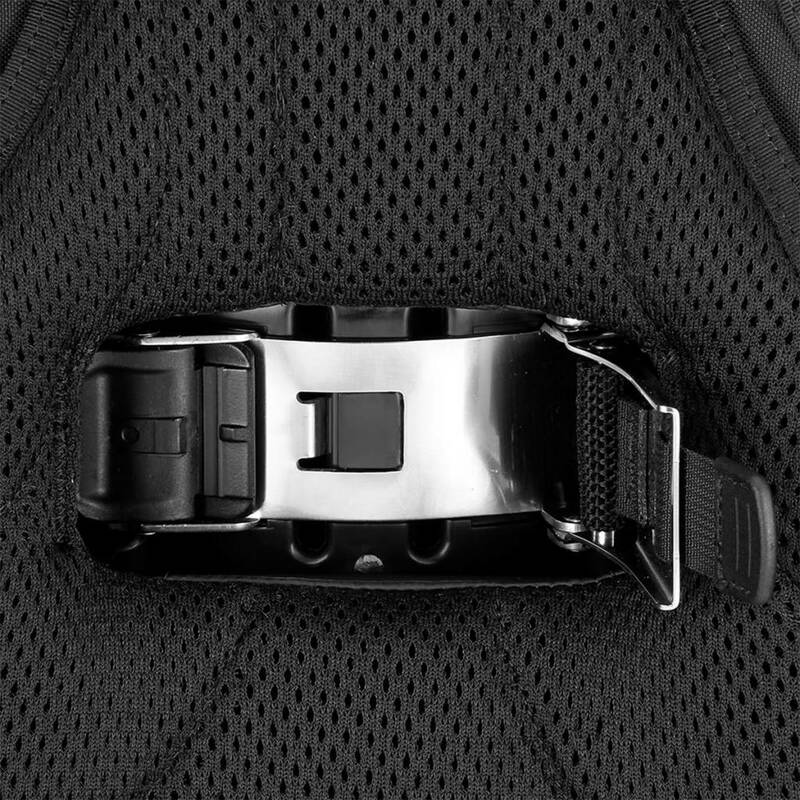 Located in the front of the BCD, the strap just clicks into place and the buckle is locked close. The F.A.S.T. system makes it easy to jump into the water. 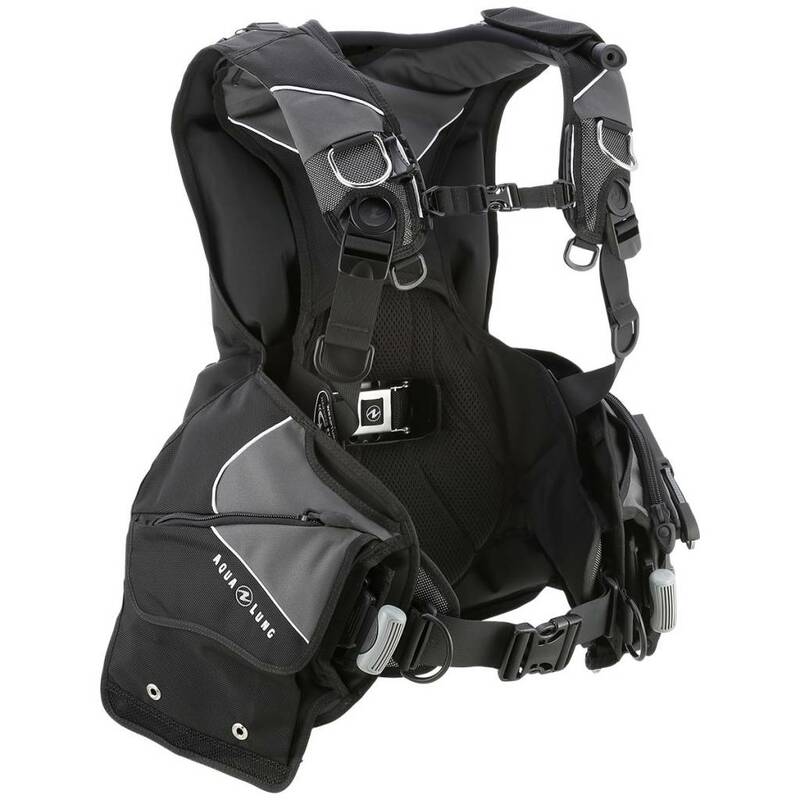 The Wrapture Harness System from Aqua Lung (patent pending) uses swivel shoulder buckles and an ultra-thin back plate, the system provides incredible comfort and unsurpassed stability. Sometimes BCDs will “ride-up” on the user. The Wrapture Harness System prevents this from happening on the surface by conforming to back and hips. Out of the water, the system keeps the cylinder closer to the user’s centre of gravity and transfers more weight to the hips which results in the ability to stand upright with a vertical cylinder. 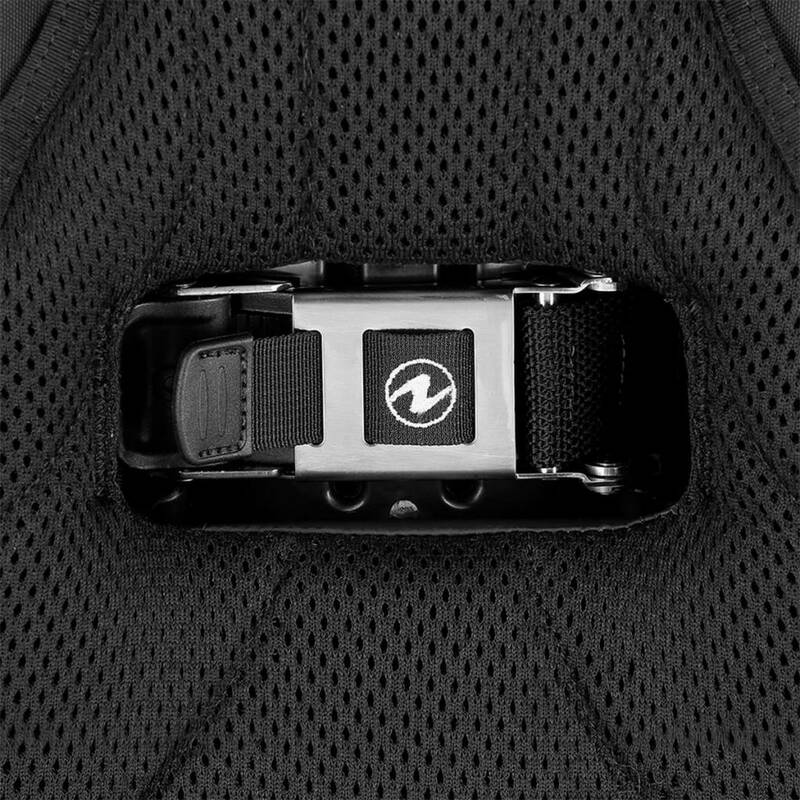 Aqua Lung’s patented SureLock II Mechanical Weight Release System helps to provide a safer, single-pull release for weights. Inserting weights is extremely simple. Listen carefully for a single “click,” and you’re ready to start your dive. 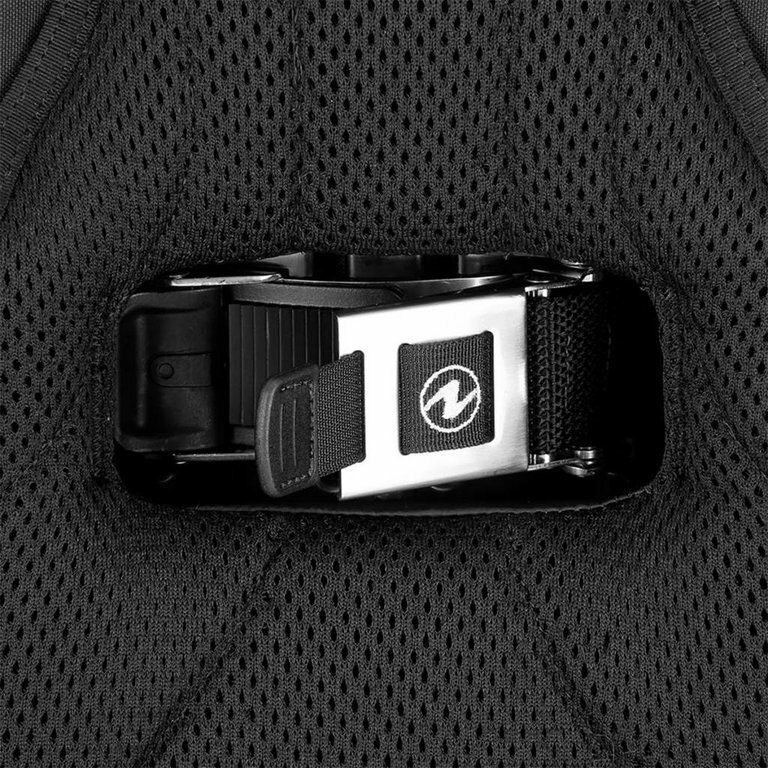 The SureLock system ensures that your weights are snug and secure inside your BCD for maximum maneuverability underwater. The only way to release the weight is to pull on the handle. Aqua Lung’s patented i3 inflation system is featured on the Axiom i3. It provides easy, one-touch control for both inflation and deflation. It’s safe, reliable and extremely easy to use! The inflator hose is inside the system so that you can inflate or deflate in any position. Also, the lever is sensitive and will release air depending on how far its moved up or down. This makes it easier to quickly or slowly inflate and deflate, unlike with a traditional system. The i3 system makes one of the most difficult skills to learn in diving easier. Controlling buoyancy takes times to master, and even the best divers have trouble sometimes. Using i3 means that all the unnecessary problems, such as having an out-of-control ascent, are eliminated. You won’t reach for the wrong dump valve anymore. If the case of an emergency, the i3 is stuck to you so you will know how to activate the inflator to establish buoyancy at the surface. 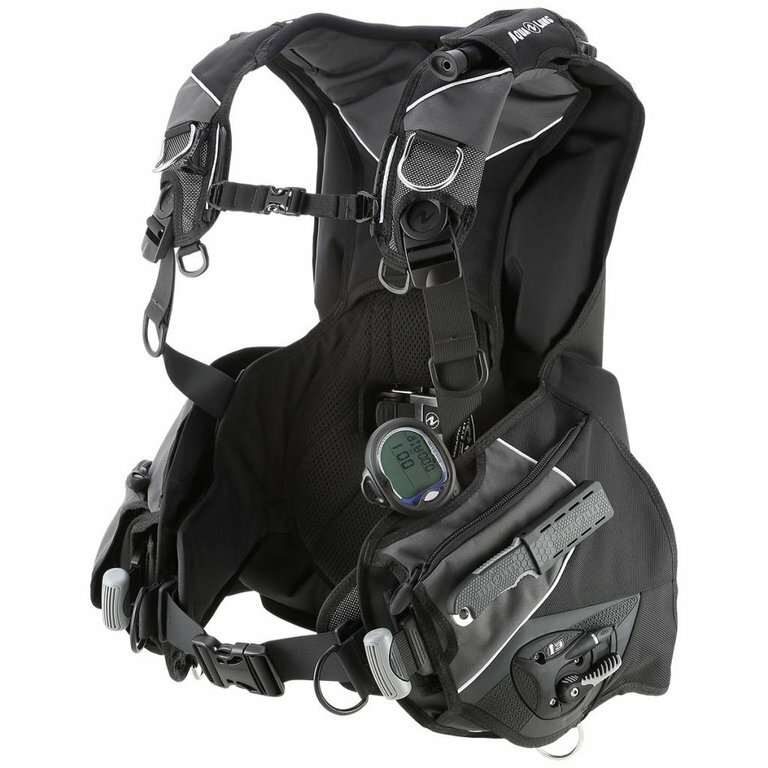 The i3 system is great for new and veteran divers alike. Getting used to this system, as opposed to the traditional hose, is simple. 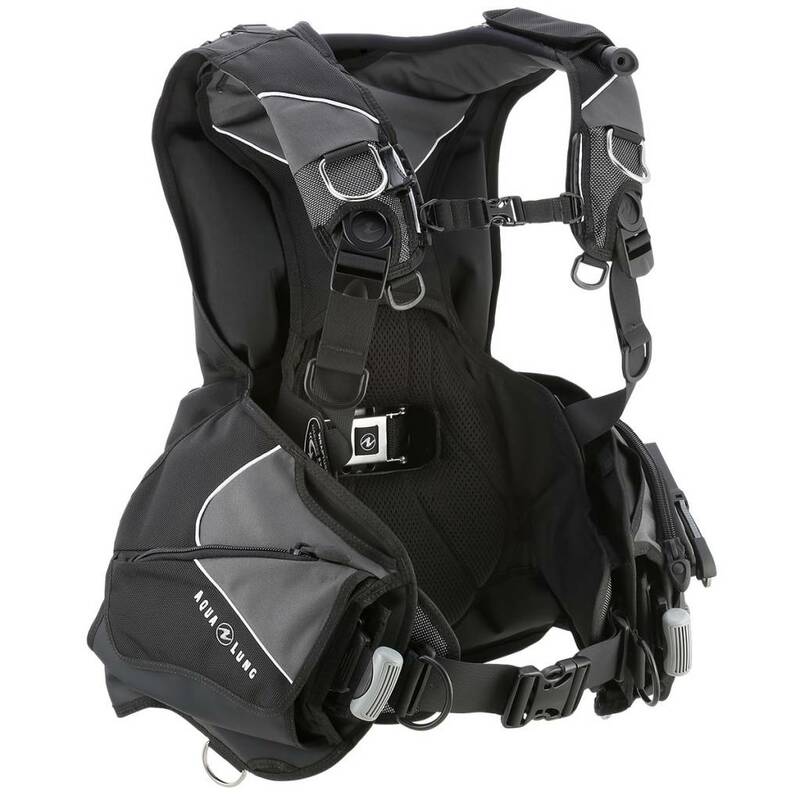 The Axiom i3 is a jacket-style BCD meant for all kinds of recreational diving. It’s features make it one of the best BCDs available on the market. 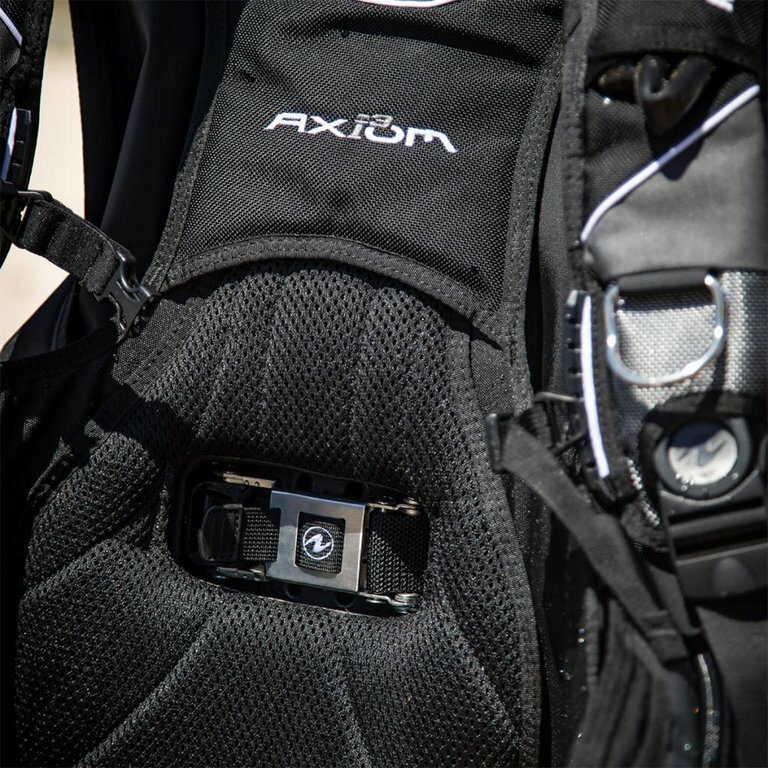 The Axiom i3 is made from extremely durable and fade-resistant materials to outlast even the harshest conditions. It comes in black/navy and blue/grey colour combinations.